Now if you’re a handyman that may not mean anything, as it’s not a big job and it certainly does not need to be expensive! The big box stores and specialty lighting stores all have plenty of choices at all price points. What should it be changed to, and how trendy should the lights be? Think simple, stylish lights in silver or nickel metal with a brushed or shiny finish. Only use a gold light fixture when all the hardware in the house is still original gold. 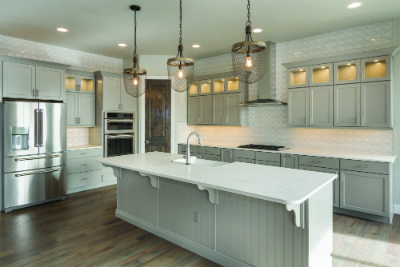 As a general rule, leave the rustic, industrial or super modern styles for newer homes. That does not mean you should not change out a single light because you cannot afford to change them all. If your front entrance and dining light are in the same view, then change both (but not every room). A dark and dingy home is not appealing and can make rooms appear smaller. Ensure the rooms are bright by replacing bulbs with the maximum lighting wattage the fixture will allow. Don’t forget to add supplemental lighting with lamps, which also create that peaceful, comfortable mood or task lighting for reading in a corner or for cooking under the kitchen cabinets. Another tip is to use a soft white or warm white throughout each room. Not yellow or a bluish white. At the very least, ensure that all the bulbs are giving out the same colour in a room. Refresh and dramatically transform or update your listing with the simple change of a light feature. We met Rachel in Calgary and were very impressed with her. We asked her to write a guest blog post to share some of her knowledge with you. This blog is information that you can take to your next listing – and don’t forget to call Rachel if you’re an agent in the Calgary area. 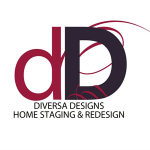 Rachel is the owner and lead Property Stylist of Diversa Designs Inc., serving Calgary and surrounding areas since 2010. As a member of the Canadian Certified Staging Association and the Real Estate Staging Association, she believes staying current matters and sharing that information, so your listings sell for top dollar and as quickly as possible!